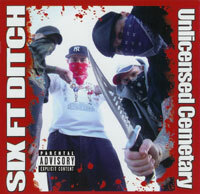 CLASSIC SIX FT DITCH RE-RELEASE! Second Six Ft Ditch release, already receiving high praise following a slew of dates in the UK and abroad. A bunch of new tracks plus a few other goodies here make this a definite bargain at £6.00. The terror begins again!